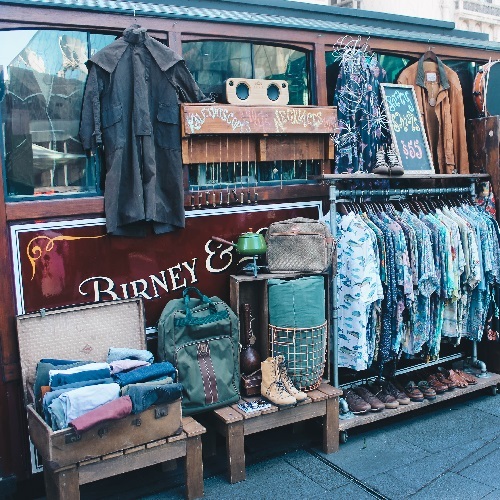 Birney & Co. is Melbourne’s first ever mobile vintage retail tram, specialising in high-quality vintage clothing, footwear and accessories for men, women and children alike. At Birney & Co. our focus is not only to encourage sustainable and mindful fashion but also to provide a unique and memorable shopping experience for each and every single one of you who step foot inside our tram. Come and find us amongst the magic each Thursday of January at NightJar Festival in Torquay decked out with a huge curated collection of hand-picked, unique vintage sourced from all over the world. Only the very best pieces all in one place, for you to delve into!